The City and the Mountains:New Directions,282 pages, $15.95 (around Rs800). To live in a city, to deplore its extortionate prices, pollution, congestion, and the inhumanity of its denizens, and yet to be unable to forsake the city is the condition today of millions of Indians, including perhaps most readers of this newspaper. We are delighted by the arrival of sacks of rice or fruit from family lands, celebrate provincial pleasures that are markers of our identities, and dream of the time when we shall swap city for country, suffering for peace. What we have is an office cubicle; what we secretly dream of is a farm. 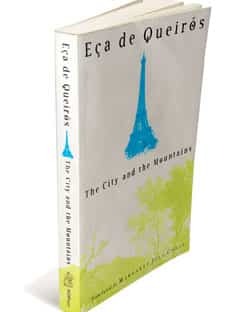 One of the most vivid articulations in literature of this city-and-country dynamic appears in The City and the Mountains, the last work of the great Portuguese novelist Eça de Queirós (1845-1900), now available in a new translation by Margaret Jull Costa. Indeed, the extent to which this satire written in 1895 on the poses and pretensions of urban existence foresees the tensions of 21st century life is remarkable. But if Eça’s novel has a sting, it also offers a cure, and the second half of his book stirs us with a marvellously sweet and soothing description of the hero’s rediscovery of himself in the lap of the Portuguese countryside. The City and the Mountains is the story of two men who meet as students in Paris and become fast friends—the country boy Ze Fernandes (from whose point of view the story is told) and Jacinto, a wealthy aristocrat. Jacinto’s religion, if any, is the City. He believes Paris to be the best and most civilized place on earth, and its inhabitants “the very cream of elegant Humanity". For him, the countryside is synonymous with a lower order of existence, with feeding and breeding. Jacinto fills his posh address— No. 202, Champs Elysees—with all the latest goods and gadgets, buys all the latest books, delights in new intellectual theories, frequents the homes of the Parisian elite, dedicates himself to fashion. This is the Jacinto that Ze knows when he returns to Portugal, and this is how it seems Jacinto will always be. But when Ze returns to Paris after five years, he finds his old friend strangely careworn, listless, and irritable. Nothing excites Jacinto anymore, though he dutifully carries out all his lush routines. He has a mistress whom he does not love; friends who seem role players in a drama just like him; riches that seem only to sap his soul in their spending. He is suffering, in Ze’s diagnosis, from “spiritual torment and intellectual disgust"; he is sated with the giddy carnival of city life. 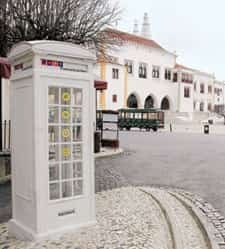 But all the goods are somehow lost in transit, and Jacinto finds himself in a sleepy Portuguese village practically naked, shorn of everything that makes life bearable. Jacinto’s gradual awareness of a new world “not filled up by Man and his tumultuous doings", his education in new realities of which he has not a clue, and the comedy of his new ambition to turn his rural homestead into a paradise on earth are all narrated by Eça in the most warming detail. Through the eyes of its idealistic hero, The City and the Mountains leads us into the mood of wonder we feel when we sense the secret music of the universe, and makes us yearn to relive his experience of “the briefest beauties, be they of air or earth".